Prashant Enterprises........ Distributor of Coffee Day Beverages Vending Machines and Consumables. Cafe coffee day beverages provides you a state of the art, stylish and sleek machine, Celesta on rental basis. The simple and user-friendly controls allow you to enjoy specialty coffees at the push of a button! Each steaming cup of coffee is made from the best hand-picked and specially roasted beans from coffee day's very own exquisite plantations. The machine has a temper proof password protection system in place for the programmed menu. 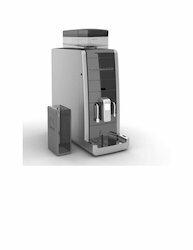 The temperature control mechanism maintains a consistent temperature for all the dispensed beverages.The machine is fitted with an air-tight bean hopper to preserve the freshness. 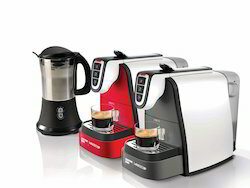 We are a top notch supplier of Cafe Coffee Day Automatic Coffee Maker. Looking for Coffee Day Vending Machine ?